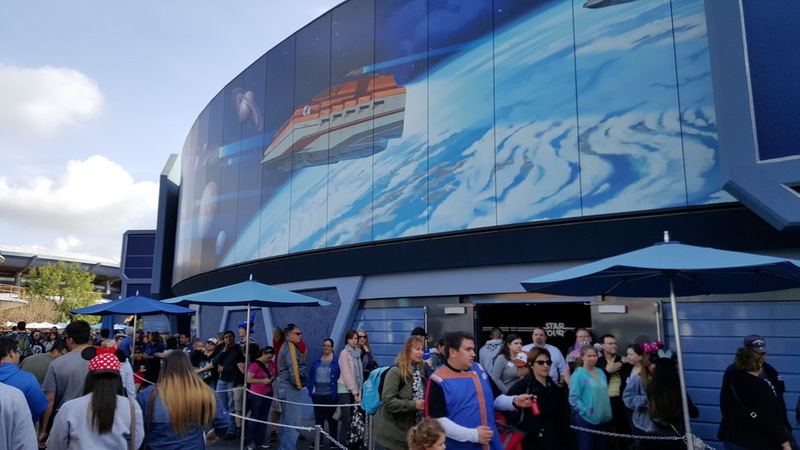 Disneyland's Season of the Force event (located in Tomorrowland) has attracted fans from all over the world. 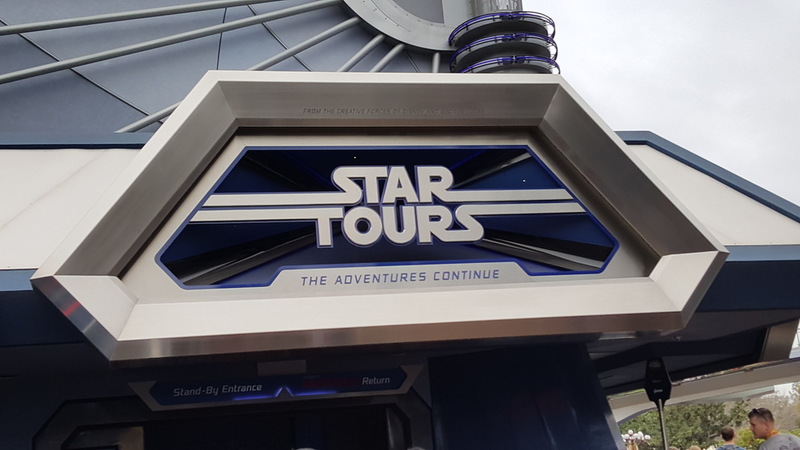 With Star Wars Weekends no longer in existence, fans are looking for Star Wars attractions and places to gather with other Star Wars fans before the Star Wars theme parks are completed in a few years. Disneyland's Season of the Force does NOT disappoint. Many of the Star Wars attractions and events are similar to that at Walt Disney World in Orlando, Florida. While the concepts are generally consistent with that of Disney World's, the layout and even some of the attractions are different. Disneyland has converted the ever popular Space Mountain into what's now called "Hyperspace Mountain". The ride has Star Wars music and themes thought the duration. Admiral Ackbar even has a message for you while you're waiting in the queue line. Hyperspace Mountain is definitely a must-see attraction during Season of the Force. 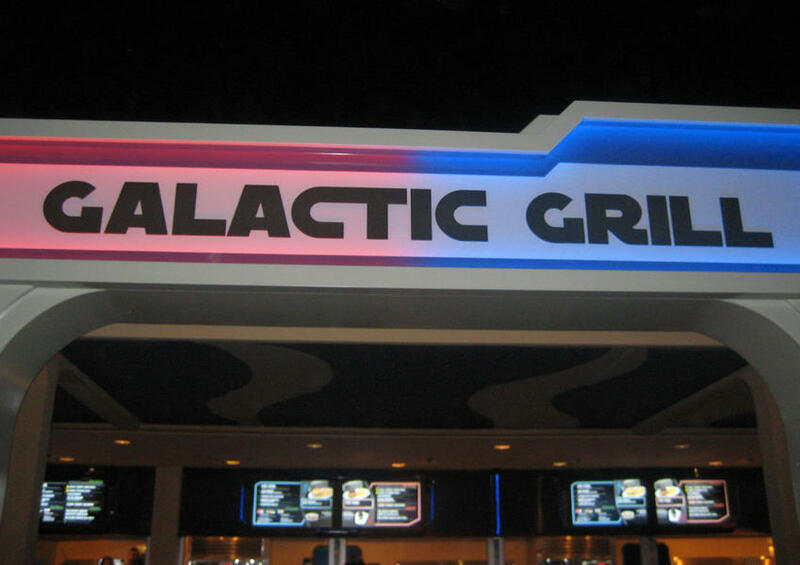 The Galactic Grille is another must-see location within the Disneyland Park. This is a walk-up service restaurant that sells Star Wars themed food and beverages. The First Order Burger stood out the most as the buns of the burger were black. 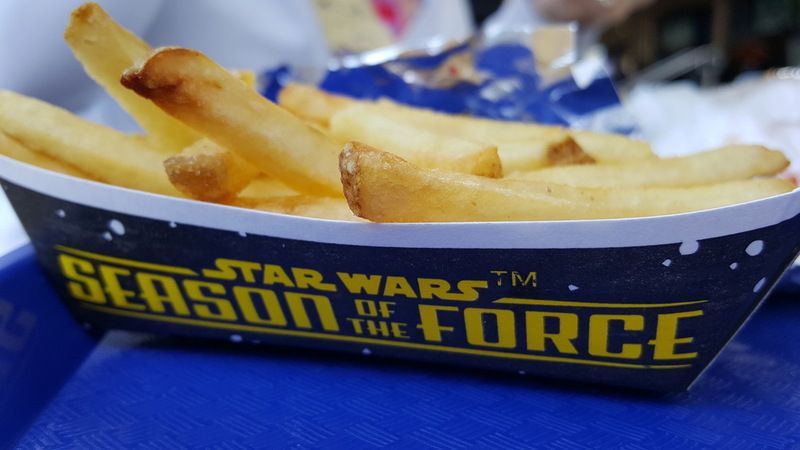 All the burgers came with "Star Wars" printed on the foil and the fries came in mini cardboard trays with "Season of the Force" printed on the side. This is a great place to grab a meal in between your other Star Wars activities in the park. Jedi Training: Trials of the Temple (formally known as the Jedi Academy) is a great way to get kids involved in the Star Wars activities at Disneyland. Children now get their chance to battle Darth Vader and the Seventh Sister after learning how to be a Padawan. Disneyland's layout is much different than Disney World's. The stage actually rises up from the ground and deploys the bad guys for the kids to battle. There are two levels of the stage (upper and lower) and one level for each villain. At Disneyland, the villains switch spots for variety and to mix things up. Launch Bay is a HUGE attraction for Season of the Force. While they have Launch Bay at both Disneyland and Disney World, the exhibits are laid out completely different. Most of the items on display are the same or very similar, but some items are unique to a specific park. The merchandise sold in the shopping area of Launch Bay varies depending on the coast you're on and each location provides a unique experience. If possible, visiting both Launch Bay attractions is recommended. And, of course, there is Star Tours. This is the oldest Star Wars attraction at the parks. Take a seat aboard a 3D flight simulator as you join C-3PO on an adventure throughout the galaxy. Since Disneyland has not yet upgraded to the Magic Bands, the fast passes are distributed by machine. 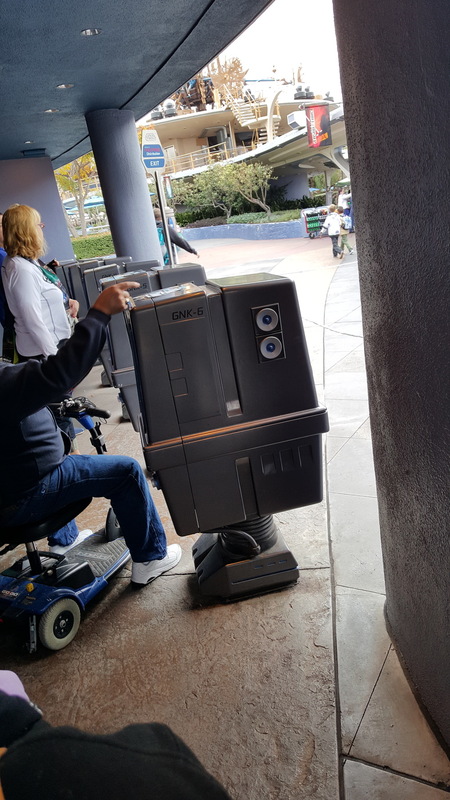 The machine that distributes the fast passes for Star Tours...you guessed it, Gonk Droids. There are many different variations of the ride which makes it enjoyable to ride multiple times. The Star Tours ride spits you out into a store called "Star Traders" which is completely full of Star Wars merchandise. Continue to check back with Twin Suns Outpost for more updates on Disney's Star Wars attractions!